EARLY BIRD SPECIAL! Quanta is US$7.99 until Sept. 1st!!! 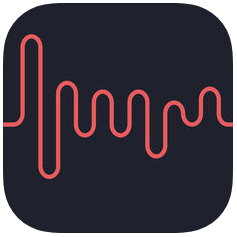 Audio Damage Quanta for iPad is a six-voice granular synthesizer for iOS11+ in both standalone (with Inter-App Audio) and AudioUnit V3 formats. Quanta for iPad is fully compatible with the full version of Quanta for macOS and Windows; visit audiodamage.com for a PDF manual, audio samples, and video demonstrations. Quanta will work on any iPad that can run iOS 11, but keep in mind that it is a feature-heavy desktop quality synthesizer, and would prefer a 2017/2018 iPad, or an iPad Pro. If you’re experiencing CPU issues on lower-end machines with the standalone, try changing the main display to FEG or FLFO, which don’t require redrawing and which will be significantly lower in CPU usage. Quanta can load AIFF, WAV, Broadcast WAV, FLAC, MP3, and Ogg in any sample rate, bit depth, and channel configuration. Up to 100 simultaneous grains per voice, of up to 1 second long, with control over grain rate, pitch, direction, shape, length, panning, source position, and level. Continuously variable wave shape, with pulse width modulation, and independent control over pitch (separate from grain engine.) Can be injected directly into grain engine. Noise source features a “color” control that affects tonal characteristics of the noise. Can be injected directly into grain engine. Filters can be used in serial or parallel modes, and include lowpass, highpass, bandpass, and notch in 2-pole and 4-pole configurations. The four FEGs are arbitrary function generators, with up to 99 steps, curve and step level control, arbitrary loop points, and host tempo sync. The pair of FLFOs utilize four controls (phase, shape, skew, and warp) to access a virtually limitless palette of waveforms, and feature host tempo sync and retrigger. The S&H mod source can sample noise (random) or any of the other mod sources, at either a user-defined rate or a musical division. Every mod and MIDI source can be easily and simply assigned to any destination using the quick-access bi-polar modulation matrix. 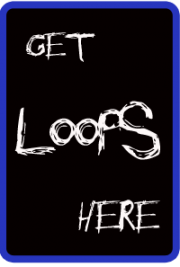 Touch a destination on the UI and the matrix automatically scrolls to the correct row. Re-tune Quanta to new intonations and temperaments using the open-source and easy-to-use TUN file format. A global tuning offset (default to A=440) allows you to easily retune the entire synth to match a different A frequency without using a tuning table. Quanta understands both “legacy” MIDI and MPE. Use your Linnstrument, Roli controller, Haken Continuum, or Madrona Labs Soundplane (among others) to directly access per-note pressure, pitch bend, and modulation. Quanta utilizes a per-instance customization method: set MPE mode, aftertouch smoothing, pitch bend range override, tuning table, and global tuning offset for each instance in your AUv3 host. Quanta comes with a substantial collection of factory content, including Designer Presets from Marcus Fisher, Joseph Fraioli, Chris Carter, and Richard Devine. Quanta utilizes an XML-based preset manager, and stores the sample within the preset for easy asset management. Work between multiple systems without troubles, make a preset on your desktop machine and paste it to the iOS version with Handoff or vice-versa, easily share your creations with your friends, or make a preset bundle to sell, no asset management required. Quanta’s vector-based GUI is resolution-agnostic, and displays the same on every system and resolution. Easily resize the UI (per instance) to match your visual needs, from postage stamp to poster-sized.